The khol (Bengali: খোল, Assamese: খোল) also known as a Oriya: mrdanga (lit. “mrit+anga” = “clay body”) or mridong(Bengali: মৃদঙ্গ) (not to be confused with mridangam) is a terracotta two-sided drum used in northern and eastern India for accompaniment with devotional music (bhakti). It originates from the Indian states of West Bengal, Assam and Manipur. The drum is played with palms and fingers of both hands. 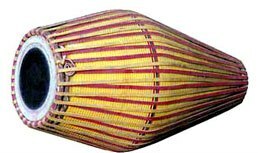 The khol is a drum with a hollow earthen body, with drumheads at both ends, one far smaller than the other. The drumheads are made of cow skin, and are three-layered and treated with a circle of rice paste, glue, and iron known as syahi. 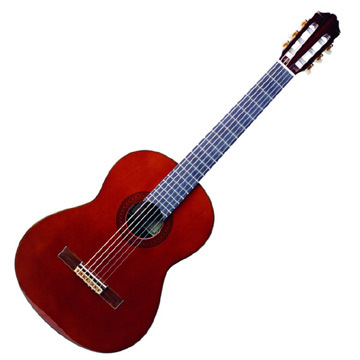 Some modern instruments are made with a fibreglass body and synthetic drumheads. The khol was used by the Assamese saint Sankardev. The drum is used to accompany Bengali, Oriya kirtans by medieval poets like Chandidas, Govindadasa and Gyanadas. 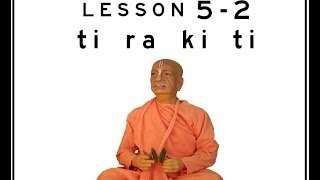 It is also used to accompany Gaudiya Nritya, one of the nine Indian classical dances. In the International Society for Krishna Consciousness (ISKCON, “Hare Krishnas”) and in Gaudiya Vaishnava societies, the khol is the primary drum for bhajan and kirtan.